At this moment, Su Yi shouted in shock. In Su Yi’s palms were the two Yuan Spirit Elixirs which had just fallen out of the jade bottle. They gave off a faint glow and a rich energy could be felt moving in them. What Su Yi was so shocked about was that these Yuan Spirit Elixirs when compared to before they entered the mysterious space, they were once again upgraded by a huge amount. No matter what was it, the medicinal fragrance or the glow of the elixirs, they were on a whole new level compared to the Yuan Spirit Elixirs from before they had entered the space as if they had reached a level of completion. Su Yi grinned. His eyes already formed a thin line. Now, Su Yi could confirm that within this mysterious space, not only could it raise his cultivation and recovery speed, but it could also raise the quality of elixirs. For example, if he were to buy a batch of low-quality elixirs and put it inside the mysterious space and once their quality improves, the prices of the improved elixirs would be incomparable to the original prices of the elixirs. After selling them, his profit would be enormous. He would also be able to improve the level of any elixirs which he required and then consume them. The effects would be much, much better than before. Thinking about that, how could Su Yi not be ecstatic. This was an enormous find! Within the mysterious space, the few beasts were surprised as they looked at Su Yi which suddenly started grinning from eye to eye and they curiously observed Su Yi. Su Yi snapped out of his delusions and looked at the beasts which were staring at him with a strange look in their eyes. He chuckled and then his expression became serious. He firmly grasped one of the Yuan Spirit Elixirs and Yuan Qi started to move within his palm. As the Yuan Qi moved, Su Yi’s eyes slowly began to close. Then, the Yuan Qi which was flowing in Su Yi’s palm began to emit a warm aura. Su Yi could still remember back when he was being tested by Sacred Mountain, he had four Yuan Qi attributes and one of them was the fire attribute. Naturally a fire Yuan Qi attribute would be able to give off heat. But Su Yi had never tried using just one of the attributes within his Yuan Qi. He did not expect it to really work. 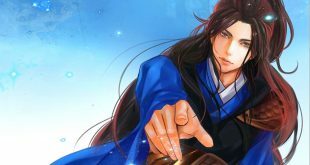 As the fire attribute within his Yuan Qi began to flow out by itself, it gave off a warm aura which gradually became hotter and hotter and the Yuan Spirit Elixirs within his palm began to melt into a pool of Spirit Essence. In the next moment, Su Yi’s eyes shot wide open. He opened his palm, the Yuan Spirit Elixir which had melted into Spirit Essence was crystal clear and gave off a bright glow. At the same time, Su Yi took an egg and rubbed the Spirit Essence in his palm all over the cracks of the egg and let the essence gradually seep into the cracks. With the Spirit Essence, the cracks of the eggs seemed to have life and began to absorb all the essence as if there was something within the eggshell consuming the Spirit Essence. It took a whole hour before the Spirit Essence which was formed from the twice-upgraded Yuan Spirit Elixirs fully seeped into the golden egg. “How strange,” Su Yi examined the golden egg once again. The cracks on the egg had actually healed to the extent where it could almost not be detected anymore. Though, if you look very closely you could still see it but compared to before, it had already recovered a lot. Su Yi beamed with delight and brought the golden egg which had been rubbed with Spirit Essence in front of the Golden Titanic Python. Feeling the changes of the egg’s aura, the Golden Titanic Python was incomparably ecstatic and looked at Su Yi with unmeasurable gratefulness. Seeing as it really does work, Su Yi repeated the process once again and rubbed the Spirit Essence from the second Yuan Spirit Elixir onto the second egg. The other beasts stood at the side quietly waiting with curious gazes. Finishing everything, Su Yi heaved a sigh of relief. Saying that Su Yi’s heart did not pain to use those two Yuan Spirit Elixirs would absolutely be a lie. They were originally given to him by his grandfather. He himself could not bear to use them. Furthermore, those Yuan Spirit Elixirs had already been upgraded twice. The value of them was even higher than before! But seeing that the originally dangerous situation had resolved itself peacefully and the auras within the two golden eggs also seemed to have some sort of a connection with him, Su Yi bore the heartache and in addition, he found out another property of what the mysterious space could do. So, he felt better as well. The eyes of the Golden Titanic Python were now overflowing with gratefulness. “We should go out now,” Su Yi told the beasts. The beasts nodded their heads, their eyes filled with respect and admiration. Su Yi found it very strange. He could not understand why these beasts would respect and admire him so much. Could it be another function of this mysterious space? After a brief clean-up, Su Yi initially wanted to the Golden Titanic Python to bring the two eggs along as they leave, but the snake kept shaking its head and tried to tell Su Yi something. After a while, Su Yi understood that the snake wanted to leave the eggs in this space. “Okay then,” Su Yi pondered for a short while and then nodded his head in agreement. With those two eggs on him, he would not need to be afraid of the snake doing something to him once they left the space. If those six beasts turned on him the moment they left the mysterious space, then Su Yi knew very well that he would be a goner. He had no way to fight back. But Su Yi’s worries were excessive. After keeping the mysterious space, the six beasts were either jumping, flying, sitting or circling Su Yi. They did not show any signs of betrayal and remained respectful. Once Su Yi looked at the stone wall in front of him, there was a sea of beasts. Although the weakest was only Yuan Soul Realm, there were hundreds, maybe even over a thousand of these beasts. Su Yi’s expression changed. He had no idea what was going on and how did he attract so many beasts. The tiger roared, the bird screeched, and the mouse cried out. The sounds shook the entire place and echoed around Su Yi. Following the roars and cries of the beasts with Su Yi, the hundreds of beasts on the rock wall roared together in response and genuflected themselves as if they were facing an emperor. The tiger, black mouse, red mink, the huge butterfly and the bird stood at Su Yi’s left and right. Su Yi was shocked. Are these beasts submitting to me? What is happening? The Golden Titanic Python’s tongue flickered and then it gently tugged on the corner of Su Yi’s tattered clothes. “Do you want me to follow you?” Su Yi’s eyebrows furrowed and asked the snake. He was not really sure about the snake’s motives. Hearing Su Yi’s words, the Golden Titanic Python nodded its head hard. It was obvious that it was ecstatic.